They began performing in the early 1980's in alternative spaces such as the Pali-Kao, a squatted factory building in Belleville, Paris. 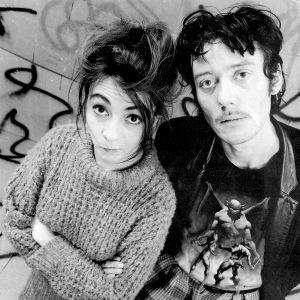 Their first hit single was Marcia Baila off the Rita Mitsouko album, a song about the Argentinian choreographer and dancer Marcia Moretto who had died of cancer in 1981 and with whom they had performed on several occasions. This album was creative and eccentric (produced by Conny Plank, sound engineer and producer of Neu! and Kraftwerk) combining elements of punk, rock, cold electro pop and jazz, and coupled with their colorful, wild, over-the-top image caught the interest of some important anglophone listeners. American record producer and musician Tony Visconti produced the following two albums, The No Comprendo and Marc et Robert, while polishing and perfecting their sound. The American band Sparks collaborated with them on the latter record and Russell Mael sings lead vocals with Ringer on three tracks, Singing in the Shower, Live in Las Vegas and Hip Kit. These two albums feature both French and English lyrics. The most successful singles were C'est comme ?a and Andy. Jean-Baptiste Mondino directed most of their music videos in the 1980's and Jean-Luc Godard filmed a short documentary Soigne ta droite about the group during the recording of The No Comprendo in 1986. On Wednesday November 28th 2007, Fred Chichin died from cancer while the band had just cancelled their previous concert dates in Paris. He was only diagnosed with the disease two months before.